Every year, I have friends and acquaintances that I don’t see online or at Starbucks for about 40 days. Why? Because they give up social media and coffee for Lent. 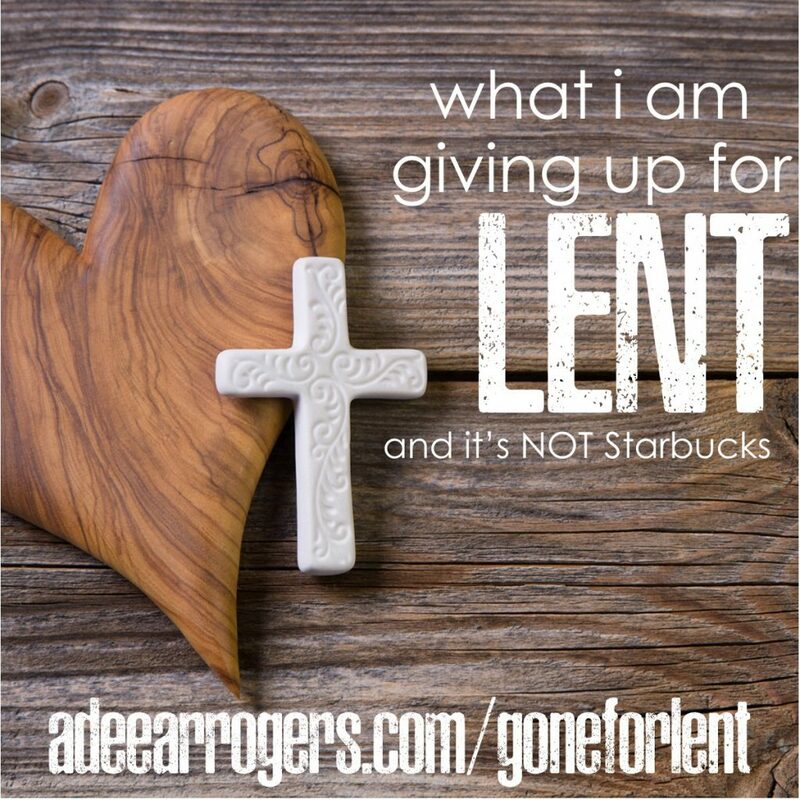 I’ve never participated in a Lent fast completely–not for the entire 40 days. But this year, I’ve changed my mind. But rather than chocolate (which I don’t like anyway), social media, TV, or my beloved Starbucks, I’m giving up things that can be just as comfortable for me to have–yet equally as unhealthy for my life and goals. These things I revert to and fall back on–but they don’t serve me well in getting me towards the life I want. Denying myself of thoughts or actions that I’m used to, is an act of self-denial. Giving them up is an act of spiritual discipline. And denouncing negative thoughts or actions and aligning my thoughts with His is getting closer to God. Jesus came so I could live abundantly. Giving up behaviors that prevent that abundant life is honoring why Jesus came, lived, died and rose. Morning Ritual. Having a routine you do in the morning, just for you, is vital. I’m currently building and customizing mine. But it includes stretching, reading, affirmations, prayer, and drinking water so far. Your routine–even if it’s only 15 minutes–should not include anyone else. Know when to say “when.” People will continue to ask, push, want, need something of us. That doesn’t mean we have to always give it in the way and time they request. I have learned to say “not now–check back in 30, 60, 90, (etc.) days,” “I can’t but I know someone who can,” and “I can sit down and tell you how I’ve done it.” This forces prioritization, notice and self reliance on the part of the requestor–while still allowing me to be as helpful as I can. I overthink. In. every. aspect. of. my. life. It has kept me up at night, caused disagreements and arguments, and has made things a lot more complicated. I am going to work really hard to give that up. If some of us think about it, a lot of our procrastination has its start in overthinking. We think………. What if I succeed and don’t know what to do next? But there is already someone doing this…. Cuz I promise you, I try to do right. 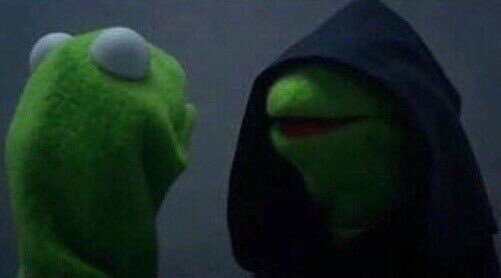 But I’ll be doggone it if inner Kermit don’t show up and try to impede my progress. How am I going to overcome it? By putting Philippians 4:8 into action in my life. I’ve often quoted and shared this scripture. But in the last 2 days, this scripture has come alive and deepened in meaning. We have to replace negative and over thinking with the habit of seeing the good in everything. That does not mean you are naive or living with your head in the sand, it just means that you allow thoughts of what is true and honest and good to take center stage in your life. The next thing I am going to do is JUMP. That means saying “yes” before I know “how.” I know it’s going to be scary, but this quote is the exact reason WE have to jump at opportunities in life. When I try to figure out the “how” immediately, I can get stuck. Knowing that you have to produce will ignite your creativity. When it feels scary to jump, that's exactly when you jump. Otherwise you end up staying in the same place your whole life. This is a habit that I’ve been reluctant to admit to myself, let alone to anyone else. If we are honest, when you see people in similar spaces as you experience success, you can start to ask yourself questions and making statements. What are they doing that I am not? They are already doing it and experiencing success, why should I even try (or continue)? Ugh. My market is so saturated! I cannot attract clients/customers/readers/attendees like they can. The moment you start making these statements and comparisons, you step into quicksand. I know. I’ve done it. Can I be real with you? There have been times when I am sitting–lights on, lip gloss popping–ready to hop on Periscope. And at the moment I’m ready to hit “Start Broadcast” another “more popular” Scoper will start a broadcast. Next thing I know, I’ve turned off my lights, washed my face and gone to do something else. I thought, “no one will come in my broadcast.” That day led to two days, sometimes 3 days without scoping. And I love being on Periscope. 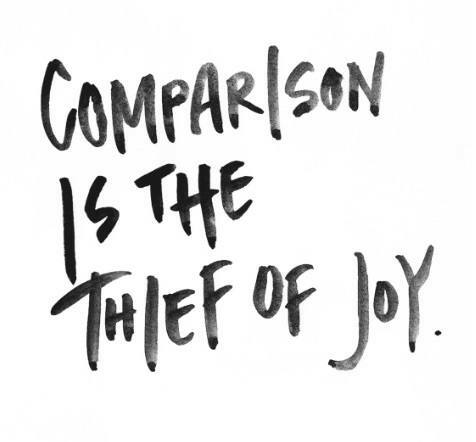 I love interacting with my peeps–but comparison stole the joy I feel when I’m in front of the camera. And not doing what I love, caused me to not want to do things in other areas of my life. I would get stuck. Now, I’m pretty good about coming out the fog and funk–but look at how much time I’ve lost?!?!? Here’s the thing. Thinking that way might be honest (you can’t change what you don’t acknowledge), but it’s not true (see Philippians 4:8). And I’ve allowed these subtle comparisons to hinder me from really providing help and value to my community. The reason I said subtle, is that sometimes the thoughts aren’t as overtly negative or egregious. They are more subtle–but equally as self defeating. If this is something you need to manage, here are a couple of things that may help. Do it anyway. So what if someone else wrote a blog post on it? So what if someone else already has a training on it? So what if someone is already making a similar product? I may not know your widget (the thing you create), but I do know this. NO ONE makes it, writes, it, or teaches it like you. As Dr. Seuss says, there is no one more “youer” than you. Therefore, do it anyway–someone needs it. But your own “STANK” on it. You have your own Style, Talent, Authenticity, Notoriety, and Knowledge. Use these things to put your own brand of STANK on your products, content, or services. Here’s the thing though, your S.T.A.N.K. 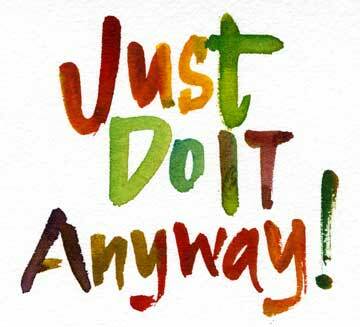 will become more distinct and clear when you “do it anyway.” So um….. If there are any habits, behaviors, or thoughts you want to change (not just for lent, but for life), here are some tips to help. Know your why. What is this behavior preventing or causing (negatively) in your life. Knowing this will help when it becomes challenging and you want to revert to that familiar place. Make a commitment. Make it a big deal! Tell people close to you. For me, this blog post is sharing what I want to work on in my life. Get accountability and support. Part of the reason you should tell some people close to you is to help hold you accountable. Where there is no accountability, there is a likely increase in regressing back to that behavior. Having accountability and support will cause you to pause before you give in to an urge, and the support is there for when things get tough. Understand your triggers. Habits are triggered by some event. Begin to recognize what triggers the habit or behavior you want to change. When you engage in that habit or behavior, look at what happened right before. Write that down. This will help you become more aware of your triggers–some you may not even realize. Find replacements. When you find yourself reaching back to that habit or behavior, already have in your mind what you can do instead. For me two things help. The first is prayer. Even a quick “Lord help” reduces the emotions around the moment and causes me to pause and think. Music is also of the quickest ways to re-calibrate my thinking. I will put in headphones to literally drown out my thoughts until the moment passes. Be positive. The right mindset is everything! Have an equally compelling and opposite reaction to negative self-talk. 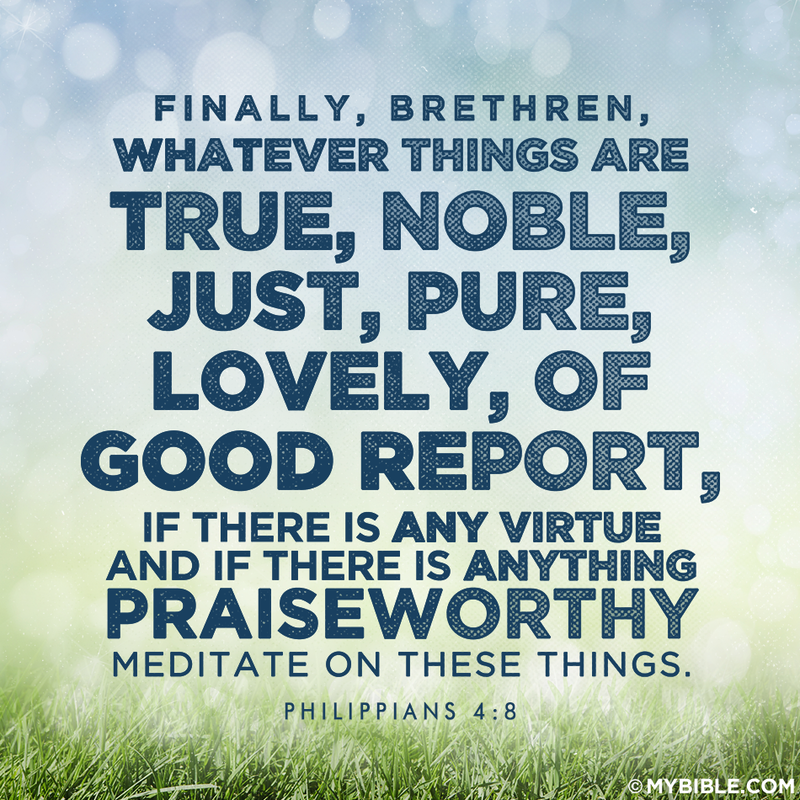 Keep scriptures, affirmations, songs at your fingertips to help create and maintain a positive attitude. Comment below or some habits or behaviors you want to replace with more positive ones. If you only want to share the positive habits or behaviors you want to increase, feel free to do so. You can also email me and share–so I can stand in prayerful agreement with you!